This is the genuine Ai-Thinker ESP-12F module. Beware of clone modules, seeing that the RF performance might not be the same! 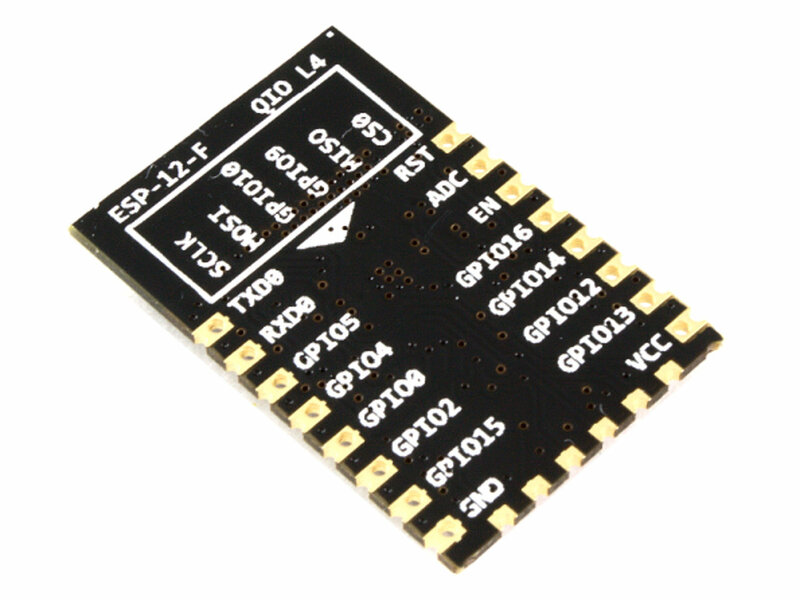 The ESP-12F is an upgraded version of the ESP-12 and ESP-12E WiFi modules. 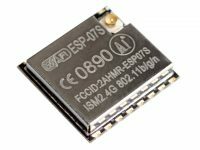 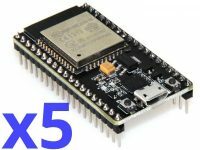 They use the very popular ESP8266 chip. 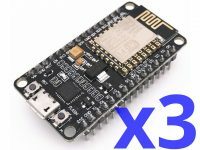 Software can be developed using many different platforms, like Arduino for example. 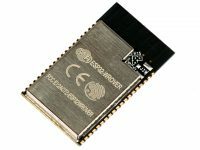 The pads on the module have an easy to hand solder 2.0mm pitch. Pins and footprint are fully Compatible with ESP-12E and relevant breakout boards. 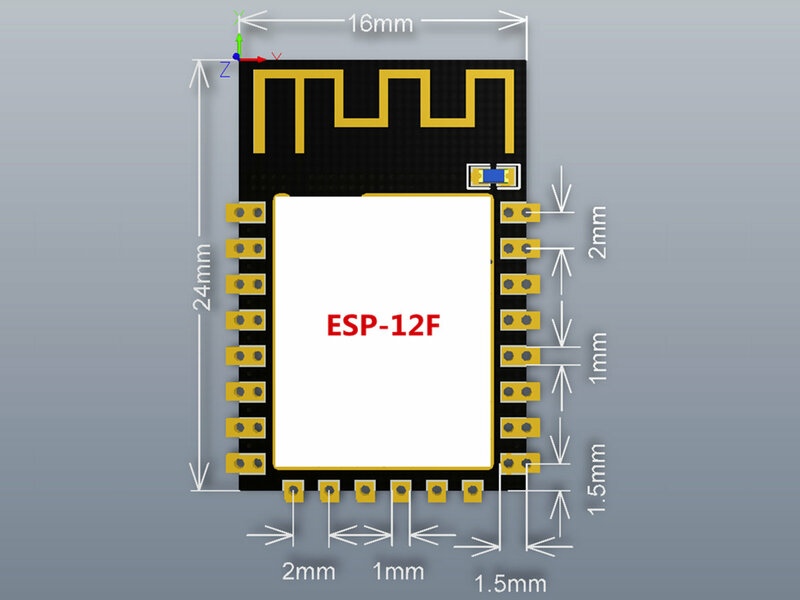 For additional information on the ESP82266 see our wiki page. 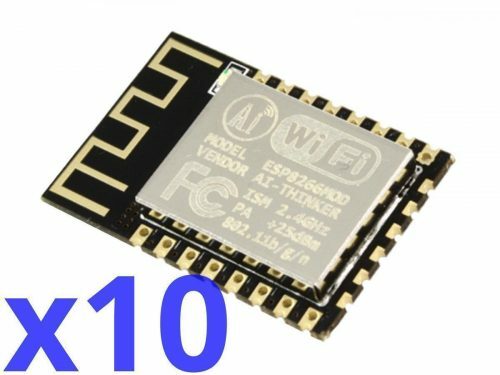 PCB Antenna RF performance optimization, communication distance is increased by 30% -50% compared to ESP-12E!